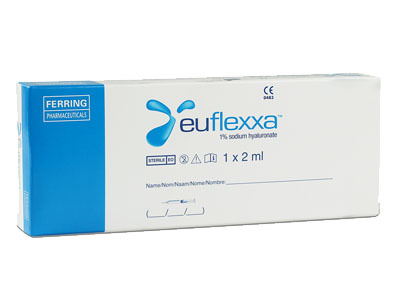 Euflexxa is an injectable viscosupplement hyaluronic acid, a natural substance that is found in the synovial fluid of the knee, indicated for the treatment of pain caused by osteoarthritis (OA) of the knee. 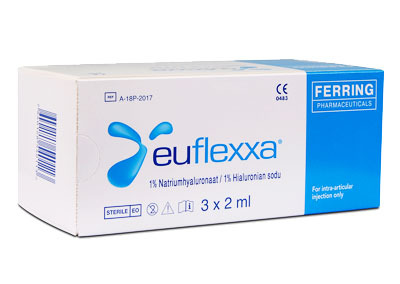 Euflexxa contain 1% sodium hyaluronate. Cool storage 2-8°C.